I would like to add Form Webpage URL in my email notification subject line. Could you please let me know how to do that ? If you would like to add the Form's URL in the subject line of our email notification, that is possible. You can follow the steps below. 1. 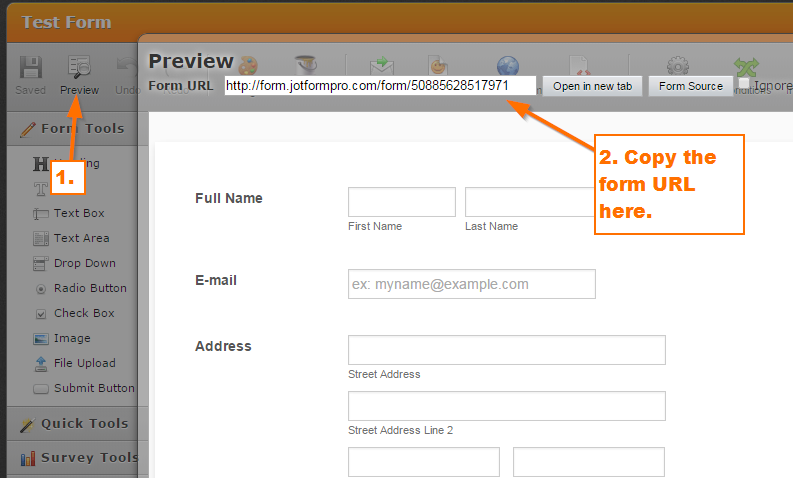 Click the "Preview" button, copy the Form URL there. 2. Click the "Emails" and edit an existing notification. 3. 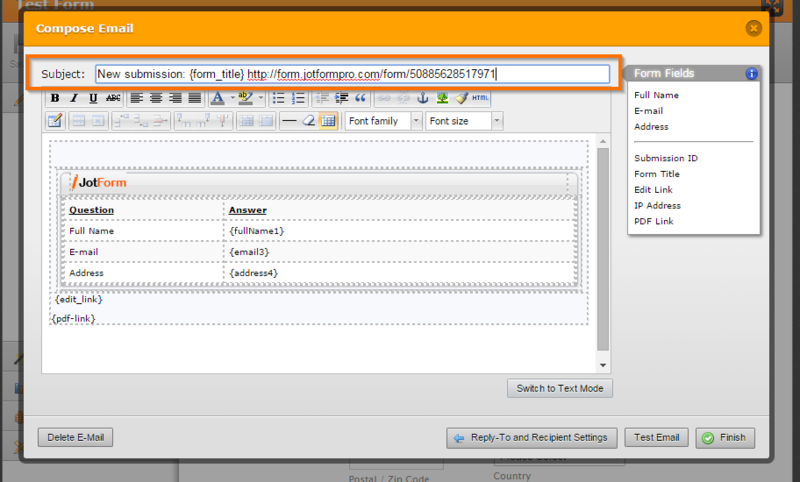 In the "Compose Email" window, you can paste the form URL in the "Subject" input field for the subject line. I hope that helps. Let us know if I misunderstood your concern.